﻿ What is the DREAM Act and How Does it Differ From DACA? What is the DREAM Act and How Does it Differ From DACA? The DREAM Act (short for the Development, Relief and Education for Alien Minors Act) is a proposal first introduced in 2001 to grant legal status to certain undocumented immigrants who were brought to the U.S. as children and who attended school here. Although Congress has proposed numerous versions of the DREAM Act since then, all of which would have provided a pathway to legal status for these undocumented youth, the DREAM Act has never passed as law. With all the media attention and discussion, many people are confused by the differences between Deferred Action for Childhood Arrivals (DACA) and the Dream ACT. 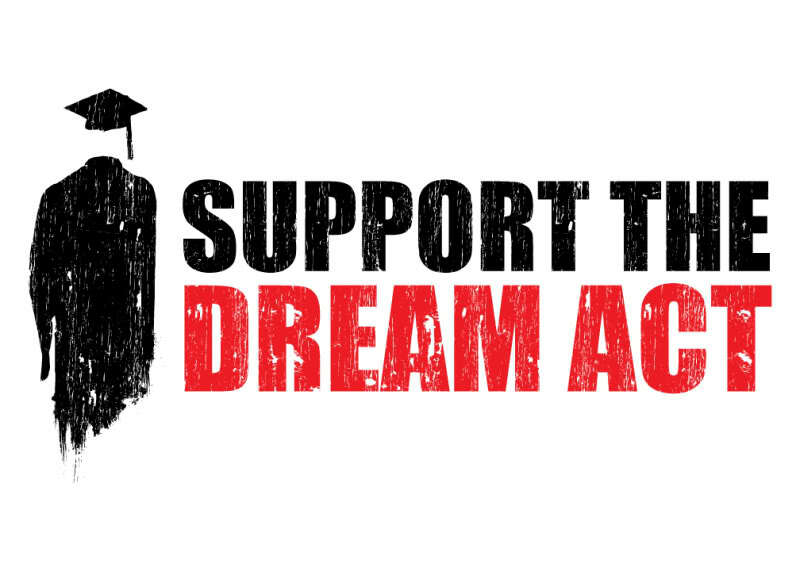 Both DACA and the DREAM Act are designed to protect undocumented youth. However, to clarify, DACA is an executive order that was signed by President Obama in June 2012 and is now under review, and the DREAM Act is potential legislation that Congress is still working on. DACA, is a temporary solution, with an uncertain future. When former President Obama signed the executive order creating DACA approximately 6 years ago, granting certain protections from deportation and work permits for these undocumented youths, he did so realizing it could be rescinded by future presidents. He also knew that it would provide an immediate, but interim solution for protection and benefits to its recipients. However, as of September 2017, President Trump ordered an end to the DACA program, and at this time no new applicants can be accepted; only current recipients applying for renewals are being considered and DACA does not provide a pathway to citizenship. In contrast, the DREAM Act if, or when passed, would be a permanent solution for legalization, but this federal legislation is currently still in its infancy. To become law, the DREAM Act must first pass through both the Senate and the U.S. House of Representatives. Then President Trump would have the option to sign it in to law or reject it with his veto power. “Dreamers,” is the term originally taken from the DREAM Act when this bill first went before Congress in 2001, and refers to the young men and women who were brought to the United States illegally by their parents when they were children or teens. It is the term currently used for DACA recipients and those undocumented immigrants who would have been protected by the passage of the proposed DREAM Act. “Dreamers” has a double meaning as it describes this group’s high hopes and big dreams for a better future. “Dreamers” are growing up, or have grown up, and been educated here in America. According to the U.S. Citizenship & Immigration Services, as of September 2017, 90% of “Dreamers” are from Latin America, 2/3 are 25 years of age or younger, with 24 years being the average age, and 53% are female. Many speak only English and know little or nothing about their own countries, and because of DACA, already have drivers’ licenses, have bank accounts, work, and pay taxes. The current rescission of the (DACA) initiative leaves these young immigrants vulnerable to losing all of this and to possible deportation. There will be renewed pressure on Congress to pass the Dream Act to retain these rights and the rights for a path to legalization for “Dreamers.” But until that happens, as you can imagine, these “Dreamers,” who number hundreds of thousands, are living with fear and uncertainty, and so are their families and friends. In addition to the threat of deportation, “Dreamers” now worry about whether they will be able to keep going to school, driving, or working. There is no way to measure the personal and relational disruption that may be caused, and no way to project the impact on America’s economic growth in lost taxes and loss of talent should these “Dreamers” have to leave the country. At FES Immigration Law, we are knowledgeable of the most current developments regarding DACA and the proposed Dream Act. If you or a family member is a DACA recipient, it is important to be aware of any and all opportunities that might be available for legal, permanent residency. To discuss these options, we encourage you to contact us for a fully confidential consultation. Call us today at (813) 530-5992.